Elections aren’t just about candidates. Elections — especially this year — are opportunities to weigh in on issues that count and make sure our elected officials align with community values. The 2018 June primary and November general elections are a chance to elect politicians who will stand with vulnerable communities and prioritize civil rights and civil liberties. We can push for Smart Justice — law enforcement policies and practices that reduce mass incarceration and advance equal rights, racial and restorative justice. 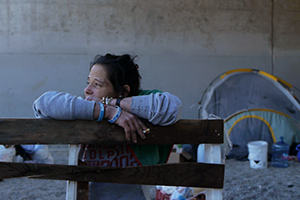 We have a chance to invest in our most vulnerable communities and prioritize ending our housing and homelessness crisis, rather than continuing to turn a blind eye. 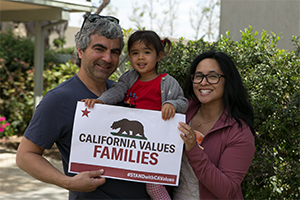 We can Stand with California Values and build stronger communities to protect, not harass and separate immigrant families. We need community members like you to engage, turn out and #VoteYourValues. Because this year, we must all vote like our rights depend on it. The County Board of Supervisors is a non-partisan governing body responsible for all five districts of Orange County. This critical level of government should represent and prioritize constituent values. In Buena Park, Cypress, Los Alamitos, Seal Beach, Huntington Beach, Costa Mesa, Newport Beach? You may be in Orange County District 2. In La Habra, Brea, Fullerton, Buena Park, Anaheim, Placentia? You may be in Orange County District 4. Your county district attorney (DA) and sheriff hold the power to impact the lives of millions of people, families and entire communities. The reality of mass incarceration and the growing threat of mass deportations mean it’s critical that our law enforcement officials are committed to advancing equal rights, immigrants' rights and restorative justice. 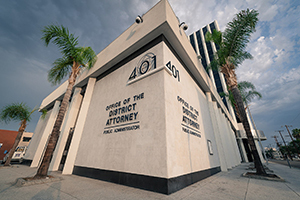 Learn more about the office of the District Attorney, their critical role in shaping the criminal justice system and how you can help hold the DA accountable at www.meetyourda.org and find out about how the OC DA candidates stand on community priorities at www.vote4da.org. Learn more about the office of the Sheriff, their powers and responsibilities at aclusocal.org/electyoursheriff.